Which of these is the flag of Bolivia? 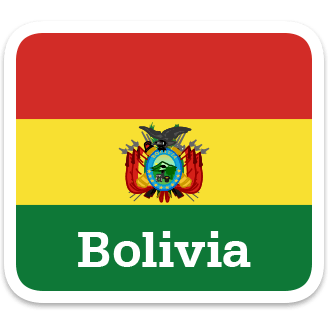 Which of these is a language spoken in Bolivia? Which food comes from cocoa plants? What animals were given to Ivana’s family? Want to try again and see if you can get them all correct?